If you’re already troubled with varnish on changing listening ports from default. Here’s a little hack that worked on my Debian and Ubuntu distribution. Posted in Administrations, Configurations (Linux). Tagged Debian, Ubuntu, Varnish. Posted in Administrations, Configurations (Linux). Tagged Debian, Varnish. Varnish Cache is a web accelerator, sometimes referred to as a HTTP accelerator or a reverse HTTP proxy, that will significantly enhance your web performance. Varnish speeds up a website by storing a copy of the page served by the web server the first time a user visits that page. The next time a user requests the same page, Varnish will serve the copy instead of requesting the page from the web server. Normally Varnish Cache is available on Debian default repositories. But i suggest you to use Varnish Cache repositories to get latest version of Varnish Cache. 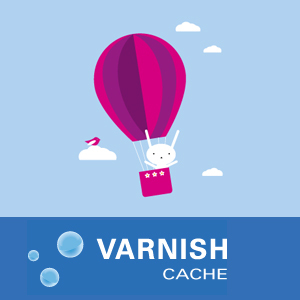 Run the following commands as root user to install Varnish Cache. Varnish is the key software that speeds up your web site. It is Open Source, built on industry standards and requires very few resources. Varnish is distributed in the EPEL (Extra Packages for Enterprise Linux) package repositories. However, while EPEL allows new versions to be distributed, it does not allow for backwards-incompatible changes. Therefore, new major versions will not hit EPEL and it is therefore not necessarily up to date. Posted in Administrations, Configurations (Linux). Tagged drupal, Pressflow, Varnish. This high performance Drupal system is based on the work of Project Mercury. Project Mercury aims to increase the performance and ability of Drupal powered websites to respond to increased load. This document leverages the same collection of popular open source tools including the Varnish Accelerating Proxy, the APC bytecode cache for PHP, Memcached for accelerating database operations, and the Solr search engine. These instructions modify the Drupal community instructions for Project Mercury for use with the Linode Platform and the 10.04 release of the Ubuntu Distribution. You may also choose to deploy your high performance Drupal stack with Linode's StackScript. Simply click on the "Deploy using StackScripts" link on the "Deploy a Linux Distribution" page. When the new Linode boots your system will be running Pantheon Project Mercury. Note that both the StackScript edition and the version of Mercury described in this document require substantial system resources; ensure your system has at least 512 megabytes of RAM. Additionally, at the time of initial publication, be aware that many Drupal Modules may not be fully compatible with PHP version 5.3 that ships with Lucid. Prior to beginning this guide for installing the high performance stack based on Project Mercury, we assume that you have completed our getting started guide. If you're new to Linux systems administration we recommend engaging the guides in our using Linux guide series, particularly the administration basics guide. Posted in Administrations, Configurations (Linux). Tagged drupal, nginx, Varnish. Varnish is an open source "web accelerator" which you can use to speed up your website. In this tutorial we will focus on the latter one. In this mode, Varnish will stop incomplete HTTP requests from reaching your Apache webserver. This tutorial is built on Ubuntu, but will probably also work on Debian. Posted in Configurations (Linux). Tagged Varnish.